Like Thai food, Vietnamese cooking relies on the balance between hot, sour, sweet and salty. With fresh, healthy dishes that sing with the flavours of lemongrass, chilli, citrus and herbs, it’s easy to see why it’s so popular in London. 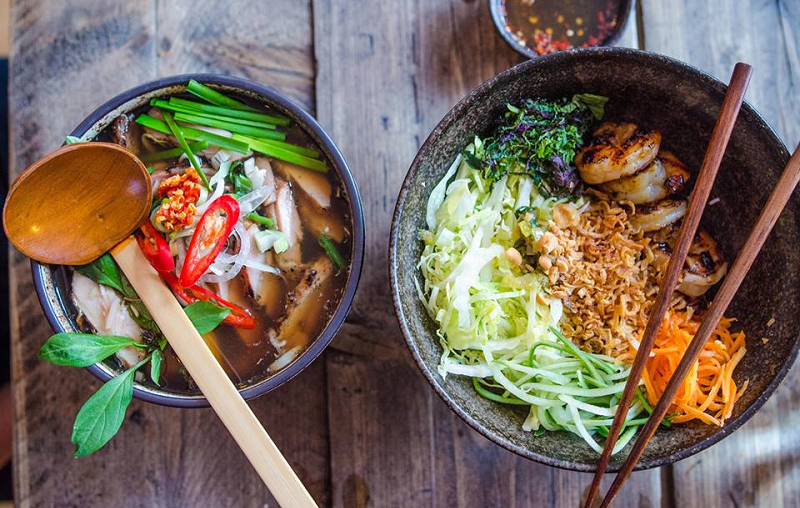 If you’re craving a zingy noodle salad or a steaming bowl of pho, here are eight Vietnamese restaurants to try in London. CôBa, King’s Cross – After starting out as a supperclub host, Australian-Vietnamese Damon Bui now runs this laid-back Vietnamese barbecue restaurant near King’s Cross. We’re big fans of his famous prawn toast and the noodle salads topped with things like spiced chicken and lemongrass pork. Banh Banh, Peckham – Run by five siblings, this neighbourhood gem serves all the classics alongside lesser known dishes like banh khot pancakes with prawns and spring onions. With most dishes coming in under a tenner, it’s the sort of place you could happily eat once a week. 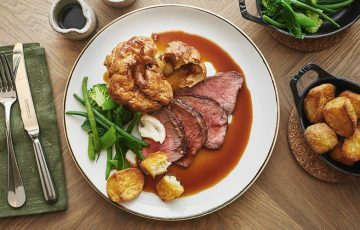 Go Viet, South Kensington – This elegant restaurant is owned by ex-Hakkasan chef Jeff Tan, the man behind Viet Food in Chinatown. He combines classic Vietnamese flavours with modern cooking techniques in dishes like crispy frog legs and 16-hour pho with rare Wagyu beef. MAM, Notting Hill – This Vietnamese barbeque restaurant is run by the team from Salvation in Noodles, so you know you’re going to eat well. The focus is on robata-grilled meat and seafood served sharing style with rice noodles, fresh herbs and nuoc cham. Don’t leave without trying their crispy chicken wings tossed in fish sauce and garlic – they will change your life! The Little Viet Kitchen, Islington – At this light and airy Chapel Market restaurant, chef Thuy Pham serves dishes she perfected at her sold-out supperclubs. 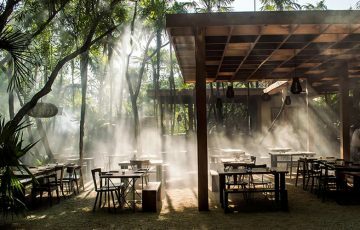 Expect street food-inspired dishes like lemongrass chicken skewers, tamarind prawns, and crispy wasabi tofu. The pho is superb, simmered slowly for eight hours for maximum flavour and served with fresh herbs, hoisin and sriracha for extra zing. 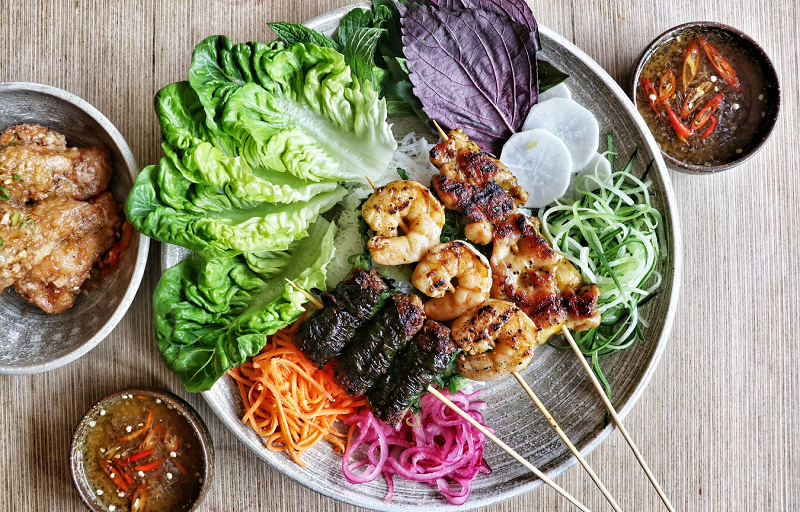 House of Ho, Fitzrovia – If you’re looking for something more date night friendly than the grab-and-go Viet cafes, you’ll love the vibe at House of Ho. After a few cocktails in the Saigon Lounge Bar, try popular dishes like lemongrass chicken and shaking beef. Cay Tre, Shoreditch and Soho – For a healthy lunch or a low-key supper, Cay Tre is hard to beat. They use carefully sourced British meat and seafood in their pho, fresh salads, and noodle bowls. 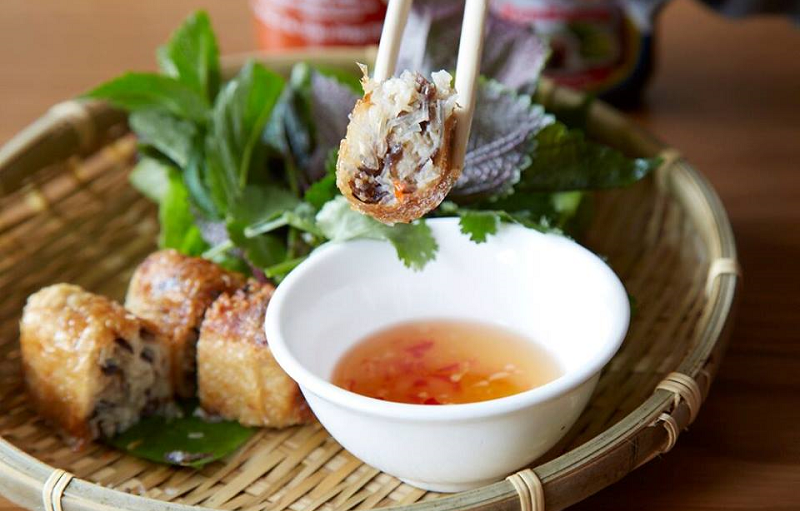 Try their banh xeo – crispy pancakes filled with prawns and pork belly. Banh Mi Bay – This family-run mini-chain has restaurants in Holborn and St Paul’s, plus a take-away in Fitzrovia, and it’s still one of the best places to grab a banh mi or a bowl of pho. Try the classic banh mi thit – a baguette stuffed with spiced pork, pickled carrot and mooli, cucumber, coriander and fresh chilli. 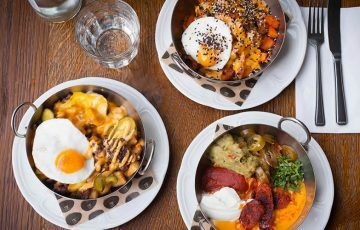 There are plenty more to try, from Kingsland Road stalwarts like Song Que and Green Papaya to neighbourhood faves like Saigon Saigon and Café East. Visit OpenTable to find a Vietnamese restaurant near you. there’s a new one in town. my fave local Vietnamese restaurant.